Time Waster Tuesday: Selleck Waterfall Sandwich! This is probably one of the few times the title to the post alone really is the best description. 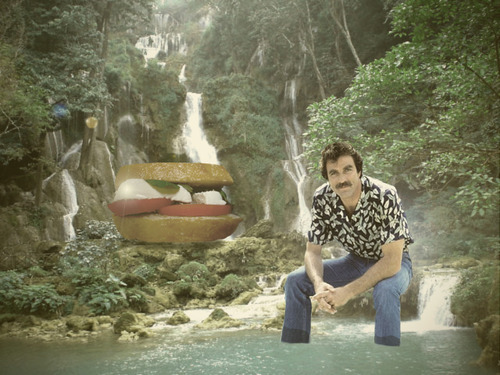 Check out this blog featuring dozens of composited pictures of Tom Selleck with a sandwich and a waterfall. We’re suddenly have a craving for a grilled cheese and a Ferrari.